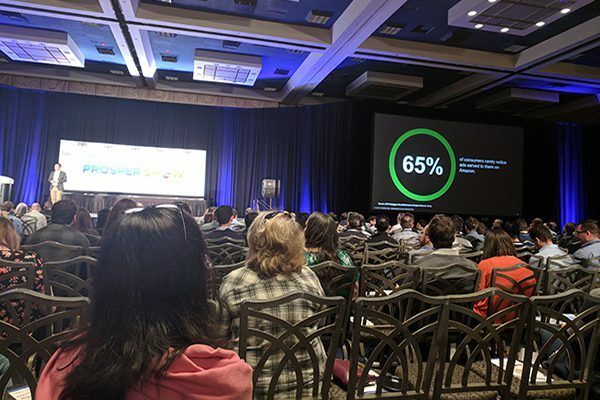 Day one of Prosper Show just wrapped, and we’ve got a detailed recap from today’s keynote, Forrester Research Analyst Collin Colburn. Collin gave an incredibly insightful presentation, focused around Amazon’s burgeoning advertising business, and why it is so essential for brands to understand the many nuances and opportunities available to advertisers. He went on to point out that ecommerce is a massive category, yet Amazon is the #1 ecommerce platform. This is due in large part to the consumer-centric simplicity and streamlined checkout and delivery options available. 28% of US consumers used Amazon to research their most recent product. Over 200 million people visit Amazon’s website every month. Collin pointed out that this is a similar number to Facebook, and only slightly behind Google (240 million). With so much traffic, Amazon has become a huge part of the overall customer journey for millions of brands and retailers. In fact, 28% of US consumers used Amazon to research their most recent product. This goes to show that while Amazon is known for its high conversion rate, it’s also important for top of funnel awareness and mid-funnel educational content. Currently, over 75% of Amazon’s ad revenue comes from the self-serve ads. With such a high percentage, you might think the market is already saturated and the opportunity for advertisers has passed. This was quickly refuted when Collin pointed out that Amazon advertising has been growing exponentially each year (up 117% YOY from 2018). And even with that exponential growth, advertising only makes up 4% of Amazon’s overall revenue ($10 billion). Google ($136B, 85% of all revenue in 2018) and Facebook ($55B, 98% of all revenue in 2018) can’t say the same. Amazon advertising still has enormous growth potential. So why is there so much untapped potential? One point Collin alludes to is that Amazon’s approach to the ads themselves sets it apart. Ask yourself this simple question. When you’re on Amazon, do you know what is an ad and what isn’t? Many consumers don’t. In fact, according to a recent survey, 65% of consumers rarely noticed an ad that was served to them on Amazon. Even more surprising, more than 20% of consumers found ads on Amazon helpful! Let that sink in for a minute. When was the last time you would ever consider an ad helpful? Anything come to mind? The scariest part is, their ad placements are very similar to Google. If you look at the top of the page, it’s ads, just like Google. Scroll to the bottom, more ads, just like Google. Yet the ads don’t have the same negative stigma as on Google. People don’t trust paid ads on Google. People are at worst indifferent to them on Amazon. That is a huge distinction. Because of the strong ad placements and the positive response from consumers, Collin pointed out that it has almost become a requirement for brands to buy advertising. Sellers can no longer simply bank on organic search results to sell their products effectively, and Amazon knows it. This is precisely why Amazon has invested so many resources into further advertising formats, optimizations, and reports. The last section of Collin’s presentation focused on the “Five To-Do’s for Your Amazon Advertising”. This section was much more focused on the specifics of what advertisers need to understand to be successful with their ads. If you want to succeed on Amazon, you need to thoroughly understand your customer and what makes them tick. Collin talked about thinking of the buyer’s funnel in a different way, where it’s not a top-to-bottom approach where everything is so focused on the sale, but rather a circle, where everything ties together. He went on to mention how in today’s digital age, consumers are doing research and discovery across a multitude of platforms and devices. You need to map and understand their whole journey, and how Amazon fits into it if you want to be successful. Collin continued to emphasize the importance of thinking outside of just Amazon. Smart advertisers need to understand that while Amazon is a solid source of traffic, it isn’t the only source. How are you leveraging other channels to drive even more qualified traffic to your Amazon listings or your Amazon Store? That’s the question that you need to ask yourself. Your competitors will invest $143 billion in digital ads by 2023. This includes PPC ads, banner/outstream videos ads (think Facebook), instream video ads (Youtube), and email marketing. Digital ad spend will grow 9% between now and 2023. Video viewing hours increasing 15% by 2023. 57% of all ad spend will be digital by 2023. Digital ad spend will eclipse 50% for first time in 2020. 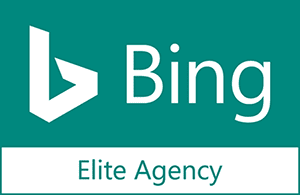 Collin pointed out that consumer product companies are growing their PPC budgets the fastest of any type of company. Why? These companies are finding value in investing in Amazon-focused ads, directly on Google. These ads are utilizing keywords targeting consumers that are higher up in the funnel in an attempt to capture even more traffic before they hit Amazon. 84% of US sales this year will be offline, in brick-and-mortar stores. 36% of these sales will be influenced by digital touchpoints. Would you be surprised to learn that 84% of US sales this year will be offline, in brick-and-mortar stores? Physical stores aren’t dead! In fact, they’re still tremendously important. However, Collin also stated that 36% of those offline sales will be influenced digitally. This proves how essential it is to understand your entire funnel, and not just focus on the last touch before a sale. Attribution is a huge issue for many brands and retailers, and it’s becoming more apparent than a simple first- or last-touch model is no longer enough to understand the impact of each of your distinct marketing and advertising channels. Collin’s last bullet point focused on companies that are putting too much into Amazon vs. all other their other channels. He pointed out that if you are seeing a plateauing or declining ROAS or are losing market share on other retailer/publisher sites, you might be overinvesting in Amazon. If that’s the case, it’s time to start testing ads on other retailer’s websites: Walmart, Target, Kroger, Best Buy, etc. These huge brands are investing a lot in advertising and getting more traffic to their site, so you can leverage that too! Overall, Collin’s presentation was filled with expert insights, an incredible amount of consumer data, and the perfect combination of high-level strategies and all-encompassing trends. If day 2 of Prosper Show is as good as this, attendees are in for a real treat! Looking for even more insights into Amazon advertising? Download our exclusive report, Amazon Advertising for Brands. This executive report will give you a high-level overview of different advertising options and how they should fit within your overall marketing strategy.